It's a funny thing when a girl wants to achieve natural looking makeup, she can easily spend way more time perfecting it than she would if she was going for a fully made up face. Ironic. If you've ever tried for the #iwokeuplikethis look then you know what I mean, haha. These products I've picked out today are chosen with all that in mind and are some of the best for getting you fresh and flush. This makeup sponge is the perfect little tool for seamlessly applying and flawlessly blending your concealer, foundation or both depending upon what your skin wants and needs that day. 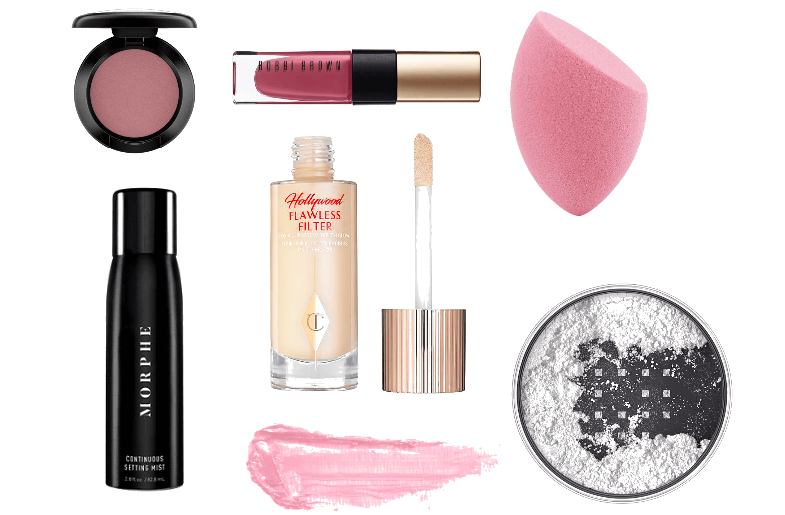 A bit of a rosy glow is not only pretty on the cheeks. 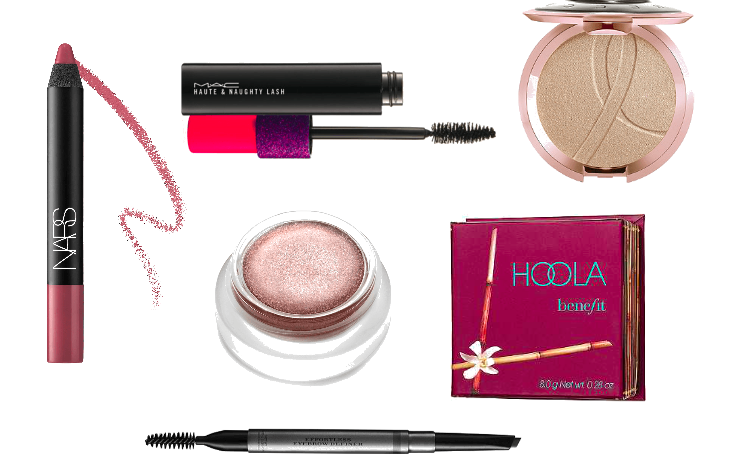 Light colored eyes really sparkle when you pop a little bit of mauve or rosy brown shadow on them. This lip pencil gives you the absolute prettiest natural rose lip. A subtle touch of highlighter will give you that beautiful lit from within glow. This one is my absolute favorite. A great mascara wakes up any sleepy eyes. I've heard really great things about this one and am excited to try it. Finally, set that look with a nourishing hydrating mist. I just bought this one and am loving it!. I've linked these pretties along with all the ones shown above for you below. Have fun and always show off that natural beauty!